Ideal choice for used on portable or movable equipment or where the flexibility for easy installation is needed. 600/1000V grade YY cables are now available in sizes above 0.75mm2 as are American UL listed versions. Polyurethane (PUR) sheath offer a good resistance to water & oil. 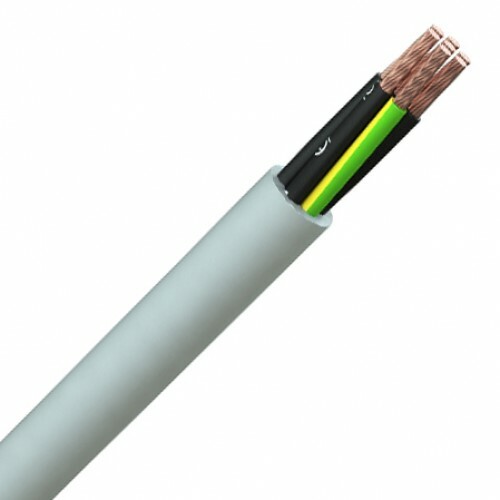 Fine copper wire strands to IEC 60228 class 5 or class 6 depending on cross section. PVC insulation with either number or coloured identification. 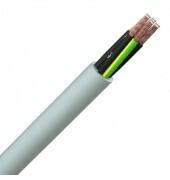 A green/yellow earth core is normally included in cables with more than 2 cores in 0,5mm2 and above. Cores twisted together, grey PVC sheath.